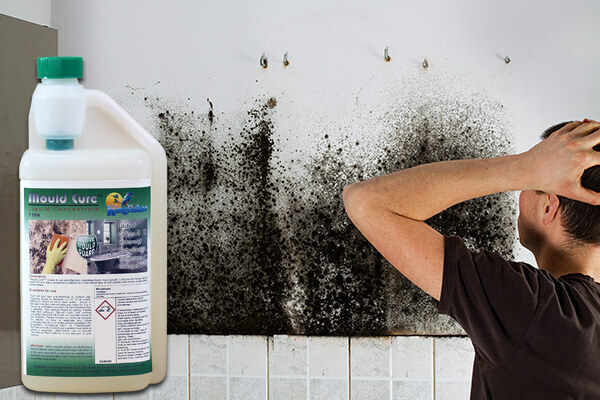 Unsightly black mould growth is a common problem in many homes but Kingfisher Mould Cure acts as a mould remover and treatment agent in one easy application. Black spot mould spores are proven to contribute to poor air quality and can aggravate respiratory complaints (e.g. asthma) but Kingfisher Mould Cure removes and kills the mould on contact. 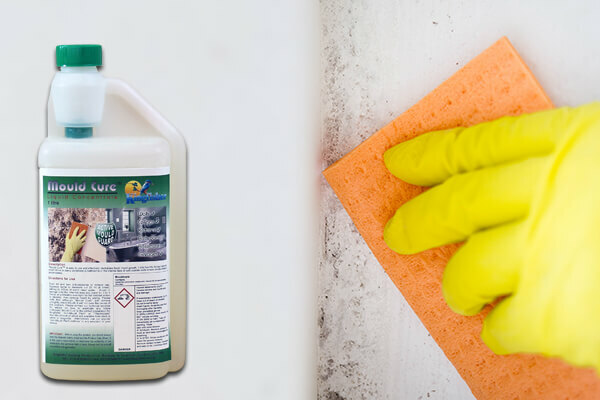 We have a wealth of experience developing black mould removal products, so you can rest assured of the quality supplied. 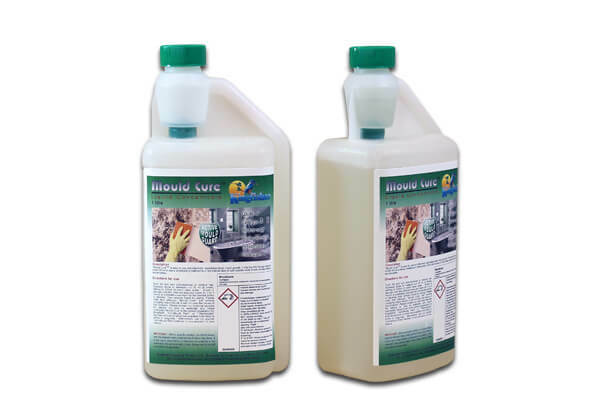 Mould Cure black mould remover is a professional concentrate that treats up to 5 times the area of spray applied products. 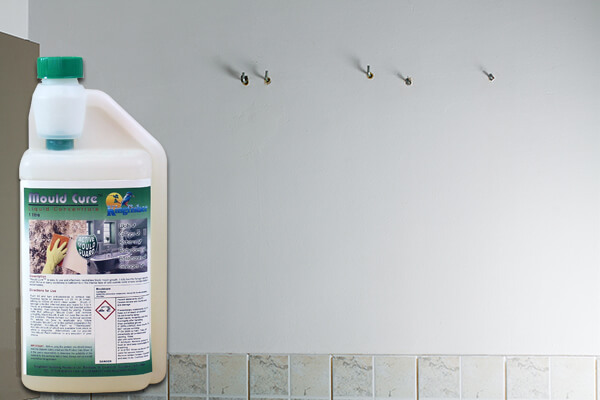 We recommend that you wipe the area around the infestation to at least 50 cm past the visible blacks spots to ensure that less visible spore concentrations in the vicinity are also eradicated. 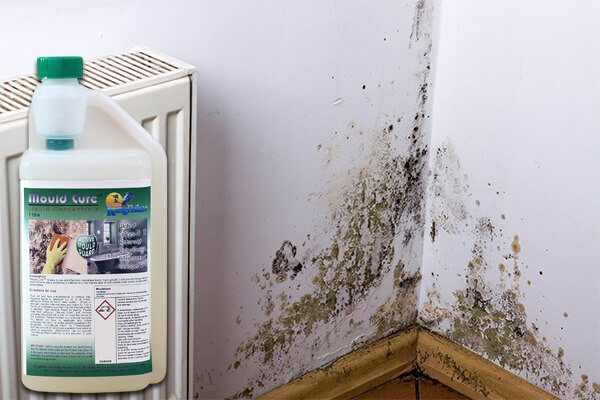 Mould Cure treatment is used commercially by social housing contractors and private land lords.